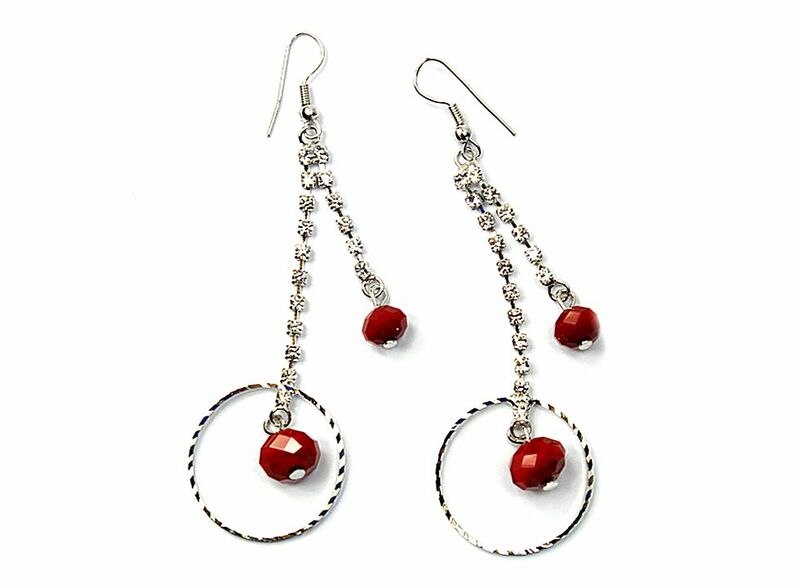 Red Fashion Circle Diamond Crystal Eardrop Earrings HK-S2002, Buy at lowest prices. The Hoop Earring is large enough to be seen and looks charming. Hoop Earrings work well with all hairstyles, and will accent any look, casual to dressy. The Earrings are classy and sophisticated. With a stylish look the Earrings will sure show off your sense of style and compliment your choice of Earrings . 1 x Pair of Red Fashion Circle Diamond Crystal Eardrop Earrings. Material: Metal alloy and rhinestone, crystal.